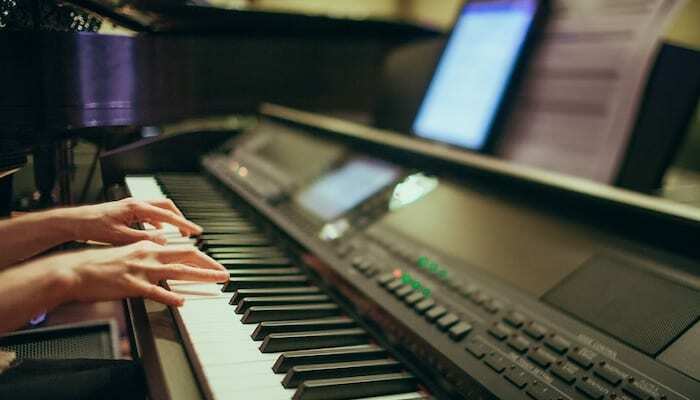 The impact on musical development that Yamaha music corp has had over the last century is undeniable, they provide affordable access to instruments worldwide, so today we are taking a look at the 5 best Yamaha digital pianos in 2019. Digital pianos make for an item of necessity for those without space or savings to cover the cost of the real deal. Yamaha digital pianos are extremely well made, and as they have evolved over time they have incorporated some invaluable features. 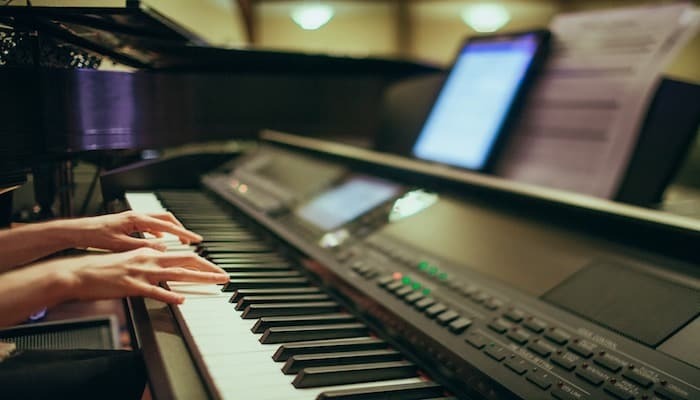 What to look for in a Yamaha Digital Piano? 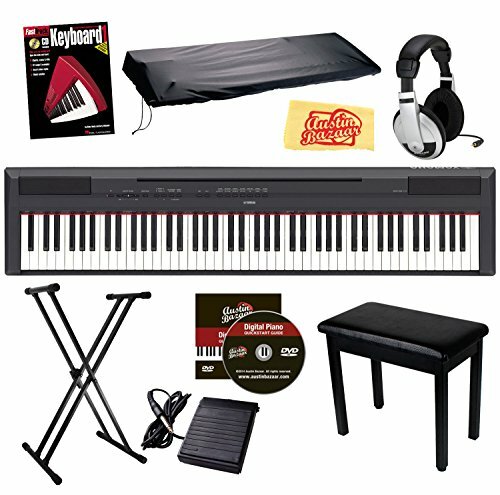 What is the best budget Yamaha digital piano? 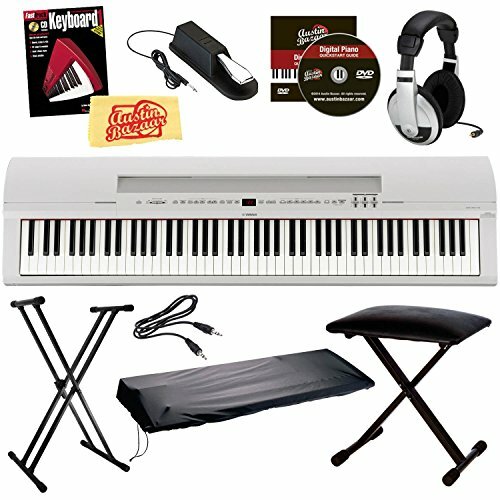 What is the best beginner Yamaha digital piano? 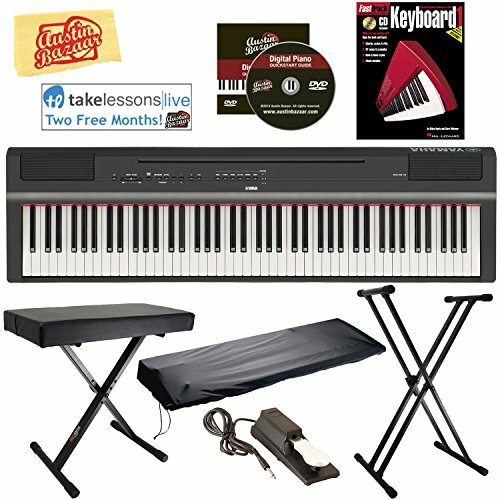 Best 88key Yamaha digital piano? A digital piano can only emulate its acoustic forefather, and some manage to do this more effectively than others. 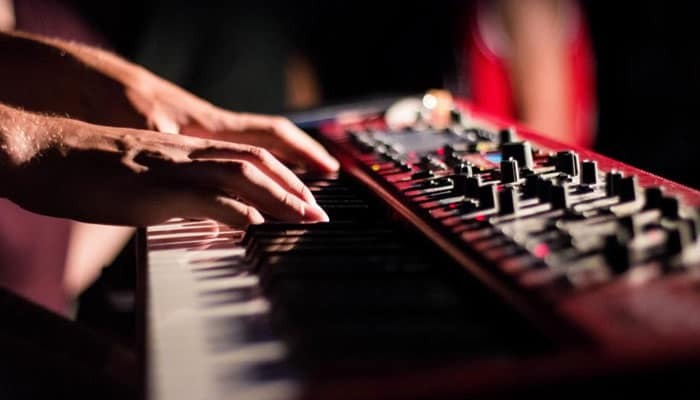 In our reviews, we will compare Yamaha digital pianos to see what makes each one a suitable option and as ever we have included our handy buyers guide in which we have collected and selected a few of your FAQ's to answer. 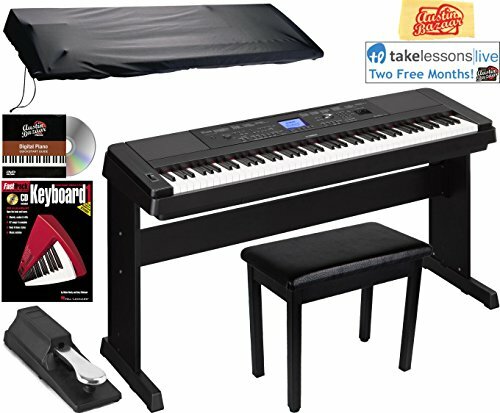 Comes as a bundle with everything you could possibly want as a practicing pianist. The DGX-660 was an awesome upgrade to the incredibly well received DGX-650 one of Yamaha's best selling models. It is an 88-keyed digital piano and each has Grade Hammer Standard weighting, simply put the action is heavier on the lower register and gets lighter as you travel up to recreate the tactile mechanism response of a traditional piano. Furthermore, it has touch response settings; soft, medium, hard, and fixed. These built-in details along with it's intelligent acoustic control and DSP based damper resonance combine to make a very realistic feeling piano substitute. The polyphony on the 660 has gone from 128-note (previous 650 model) to a staggering 192-note, so the brilliance in the sound quality is in the additional voices. It has 151 total as well as 15 drum/sfx kits but it is also XGlite compatible increasing sound possibilities further. Its digital nature allows for seamless integration with Yamaha iOS Apps for additional content and calibration. We will talk about more of the features in our next Yamaha digital piano review as we are looking 2 bundle sale versions of the DGX-660 in this article. This package has a bench and dust cover, a sustain pedal for foot operation, and an instructional book and DVD, along with polish cloth provided by Austin Bazaar. + GHS action weighted keys. + USB audio recording playback. Why We Liked It - It's an expertly built digital grand piano with many attributes tailored to emulate playing a real piano incorporated into it. As previously mentioned, our second review is again the DGX-660 just with a different set of accessories. Though each at their heart has the same digital piano model with identical features we have added this one as an option because of its triple pedal block. The most important thing when buying a digital piano to practice piano playing is that it is as authentic as possible to an acoustic one. We will just take this opportunity to delve a little more deeply into some of the DGX-660s amazing attributes we hinted at above. 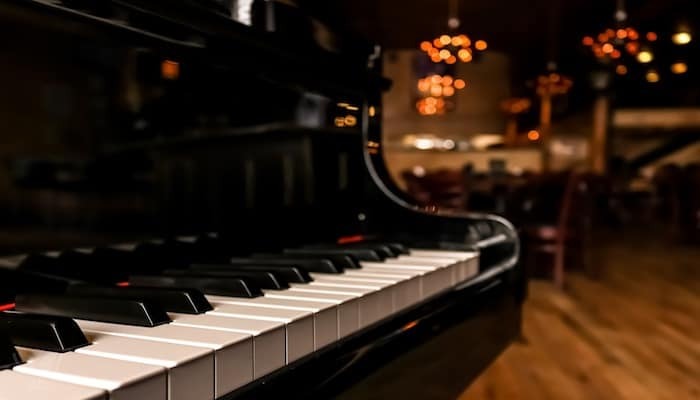 Its new piano room feature allows users to easily switch between a variety of different pianos and acoustic settings to create their own personal desired sound. Let's talk a bit more about its USB and app connectivity advantages. You can download a MIDI score directly to the digital piano LCD screen to learn it, it will even score music you have created yourself. The DGX-660 also has a smart-chord function, which makes even the most novice player sound professionally accompanied. It auto selects an accompaniment style and creates a virtual band. This bundle comes with a bench, stand, dust cover, a triple pedal, and an instructional DVD with the book. + 88 key grand size. Why We Liked It - It is one of the largest ensemble digital pianos and it makes for a very versatile instrument with its modern capabilities. If the digital bells and whistles of the DGX line don't appeal to you and you have no desire to use XGlite then this next one might be a better choice for you. The Yamaha P- series is another of their best selling entry level lines. They are affordably priced and user-friendly. It is a digital no-frills option that aims to stay as authentic to acoustic playing as is digitally possible. It too uses Yamaha's Pure CF sampling of a 9-foot CFIIIS concert level grand piano. It has GHS action weighted keys allowing for more accurate response and ultimately adding a more expressive dynamic quality to its playability. It features onboard digital signal processing to capably mimic damper resonance for a realistic tone. It too is grandly sized with 88 full-size keys and can be run in split function to practice duets with a companion. + 88 GHS action keys. 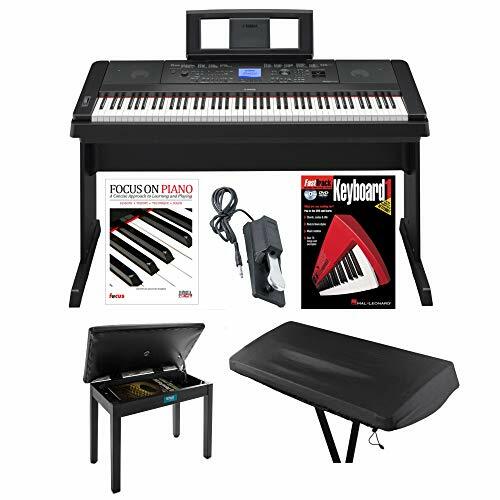 + Comes as a bundle with everything you could possibly want as a practicing pianist. Why We Liked It - It makes for a great option for beginners and seasoned players alike. It features many of Yamahas revolutionary digital piano features which are quickly becoming the industry standard. The 225 is currently the top model upgrade from one of their most popular lines. It provides Yamahas maximum polyphony serving a spectacular 256-notes, for the closest piano voice reproduction going. The first voicing mimics their world-renowned CFIIIS concert grand piano. It really is an impressive instrument and is relatively lightweight and portable given its compact design despite its 88-full key scale. The keys have graded hammer action, giving them great touch response so that the action is nimble and expressive. It has an easy to use a touch screen and equalization sliders to effortlessly customize your sound. The stand is a cheaper but convenient x brace style, though you can purchase a furniture style stand as an optional extra if preferred. + Top of the range model. Why We Liked It - It makes for a premium performance piano, and is certainly one of the best Yamaha digital pianos on the market. After showing you each end of the spectrum of the acclaimed Yamaha P series we thought it was only fair to have a glance at its midriff. The P125 is a very affordably priced alternative, which still gives the customer the benefit of Yamahas decades of experience in producing pianos. It has their highly beneficial GHS weighted action keys, each is full size and there are 88 in total. It harbors Yamaha's intelligent acoustic control and damper resonance and again is pure CF sound engine sampled from one of the worlds best concert grand piano's. It has all the mod-cons such as USB to host functions and a Smart Pianist app which allows for storing your favorite songs and iOS link up. It comes with a small bundle of essentials including an adjustable stand, bench, dust cover, and most notably a sustain pedal. + Lower price range product. Why We Liked It - It is a reasonably priced model and has a modern touch, it is ideal for learners with its free learning App. We think you might like: Best Digital Pianos under $1000. Yamaha has come a long way since the upright piano they produced in the early 1900s and after they invented their first electronic instruments advancements have just snowballed. In accordance with keeping their brand held in esteem, Yamaha incorporated many of their innovations into the majority of their products. Which you can see from the 4 digital pianos we reviewed all with different price tags but all providing the core developments Yamaha has researched along their lengthy legacy. Their graded Hammer Standard action weighting, their cutting-edge Pure CF sound engine sampling, circuitry and DSP improvements along with realistic Damper resonance are just a few valuable assets they bring. All of the above features are desirable in Yamaha electric piano models. The rest is down to preference (a type of stand/bench) and your intentions for its use. Some of their products have more digital perks than others which are great tools if you are a novice player, especially if you don't have access to learning with a tutor. 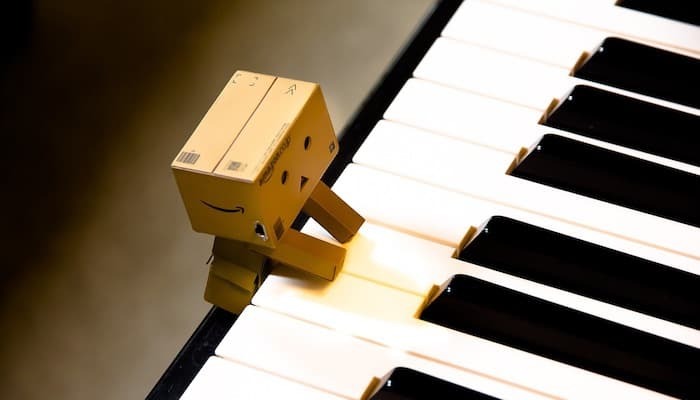 Another advantage is digital pianos are useful if you intend to record or songwriter. 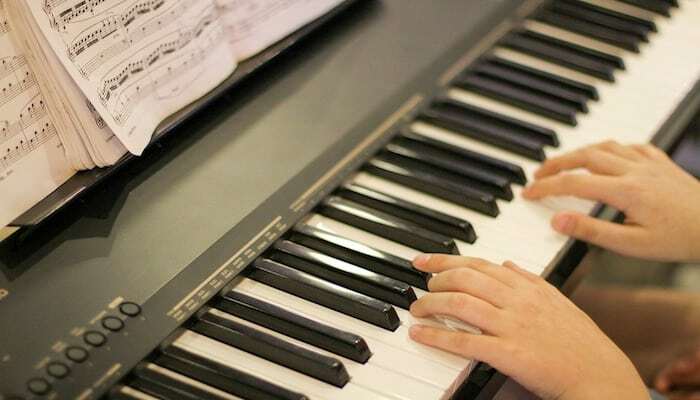 If you want a practice piano but can't invest in the real McCoy you may only require or even prefer a no-frills option as close to acoustic piano playing as possible. P125 if cash is of key concern to you, you can save yourself a further hundred bucks if you opt for just the keyboard itself which you could play at a table with a suitable height, not ideal but works in a pinch. The P-125 actually has a table equalization feature to ensure optimal acoustics regardless of the surface it is played on! See more budget digital pianos here. For beginners, we would recommend the DGX-660 (either bundle package depending mainly on your pedal preferences). It has much more versatility than the others and the iOS and USB features make learning even easier. If the modern applications don't interest you we say go with the P-115, it's hard to beat. It is a difficult one to call as each of those we have examined provide some of Yamaha's best features and processing. They also fetch similar retail prices. The P-225 is the most high end we have reviewed it has better polyphony and is very authentic to an acoustic piano. It recreates the subtler nuances of playing on the real deal flawlessly. Yamaha is a prestigious manufacturer of instruments, they produce some of the best selling products in the world. With their advanced expertise in high-end digital processing circuitry and early musical roots in string piano manufacture, it should come as no surprise that they make some of the best digital pianos around. All of those we have reviewed harbor some of their best features to date and make for a fantastic digital option. They really are the best of the bunch but it basically comes down to whether or not you want the extra features such as USB and iOS compatibility, song scoring, recording, and playback, etc. That and of course your budget. We are optimistic that our Yamaha digital pianos review and buyers guide will have given you the low down on some of Yamaha's best digital pianos so you know all you need before you buy. If you have a more accommodating budget, you may want to explore Yamahas CSP range. They offer state of the art tech and iPad compatibility but also have high-end components such as premium speakers, natural wood X keyboards, and Bösendorfer Imperial grand piano voices. The first instrument Torakusu (Yamaha founder) produced was an organ that kept poor tuning, He struggled to resolve the issues for four months It is no surprise that the Yamaha logo has always incorporated tuning forks. There are luckily no tuning issues with a digital piano!